Spring has officially sprung here in the Sunshine State! It is only fitting that we’re working on plants. To kick off our plant unit, we discussed the life cycle of a plant. We watched this little video to help our discussion along. Then it was time to get dirty and have some REAL plant fun! 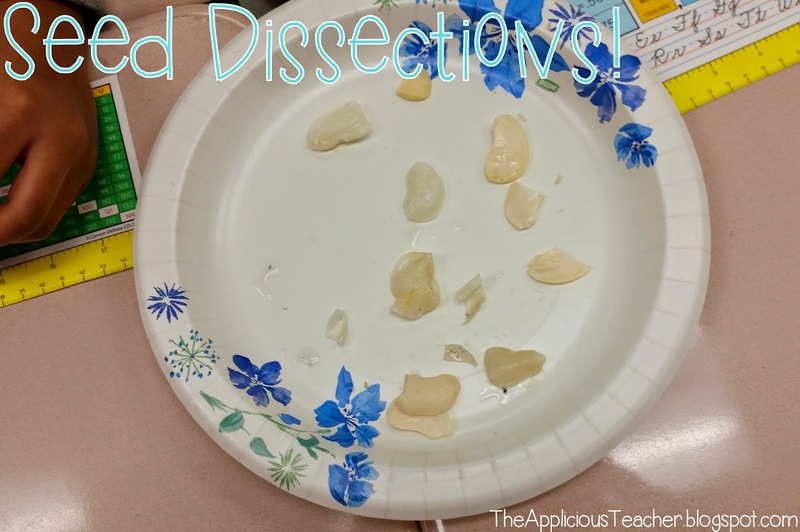 We dissected Lima bean seeds and worked to label the different parts. 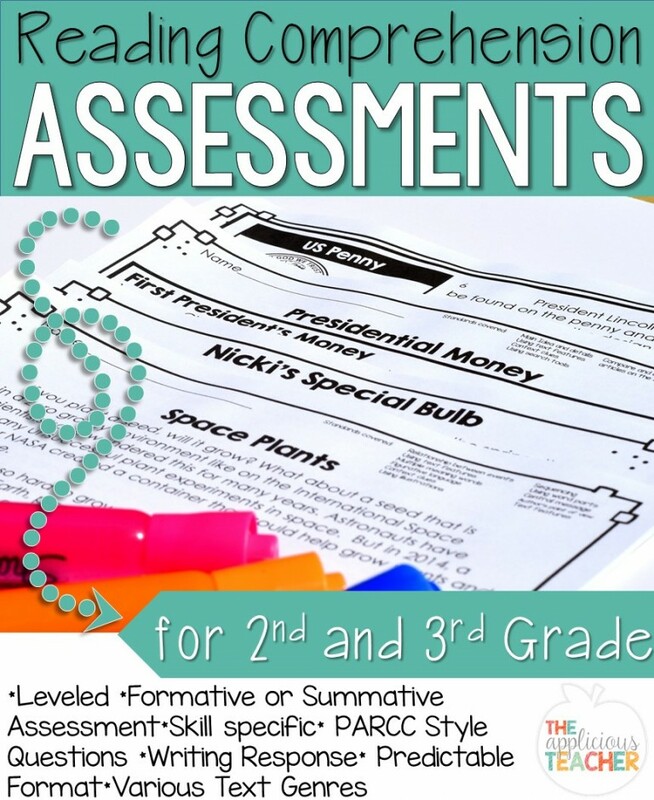 This is an activity I did last year with my seconds, so I KNEW my thirds would love it, too! The kids loved being able to see the different parts of the baby plant inside. We also learned about the different parts of a plant’s structure and how they help the plant grow. 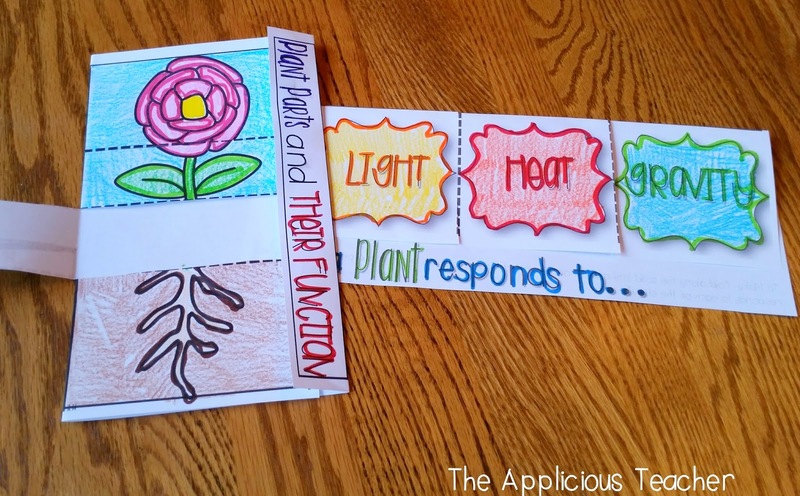 I used this quick fold up, for students to label the different parts of the plant. Down below the “soil” tab, students labeled and colored the roots. On the back, the kiddos wrote how each part of a plants structure assists the plant in survival. We used our science book as a resource. Then, we were ready to learn how plants respond to their environment. To kick off this part of our plant study, we started an plant experiment. We first planted 3 seeds and changed one part of their environment. One seed has a rock blocking it’s growth path, another has full light. The last one is covered in black paper that’s blocking all the light. We used this scientific method sheet to guide us through our hypothesis and steps. We made seed journals to keep records of how our seeds are growing. I split my class into three teams, one for each seed. They love making their observations and adding it to their seed journal. At the end of the experiment, we’ll share out our observations. We also worked plants and seeds into our reading block with this fun Inferencing center. 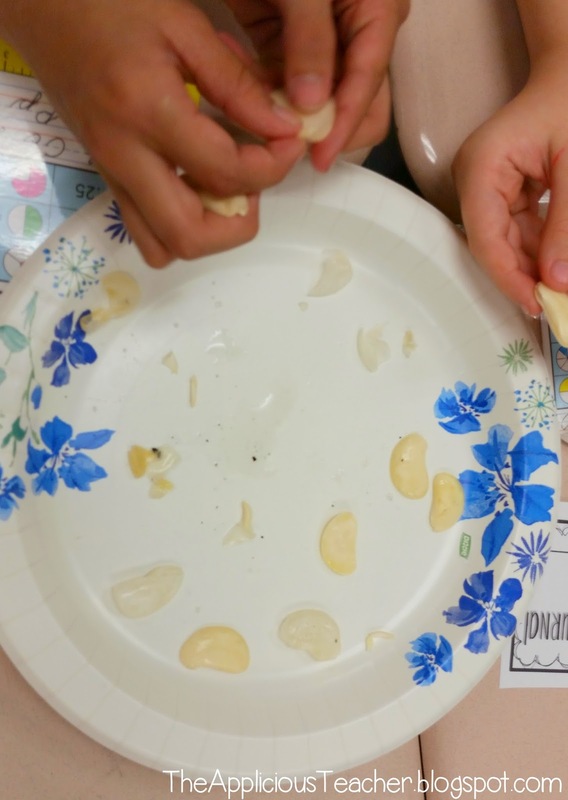 To complete this activity students had to read the seed clue cards and match them to the right seed packet. Then on their recording sheet, students had to explain how they inferred which seed was which. 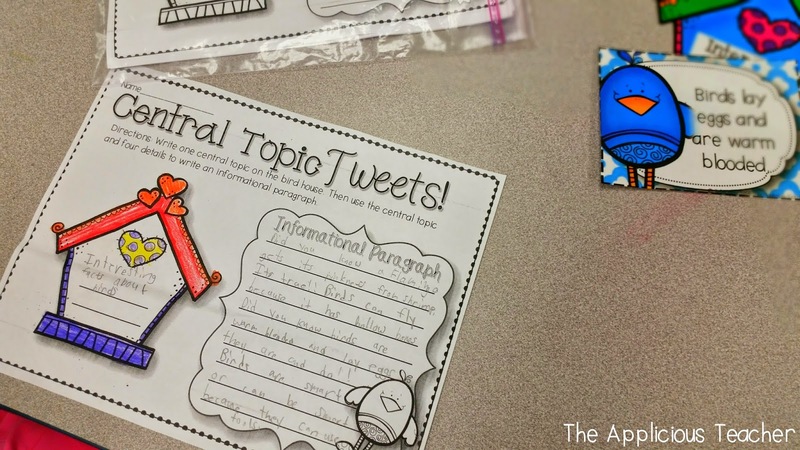 We still need help with citing evidence, so this was a fun way to practice. 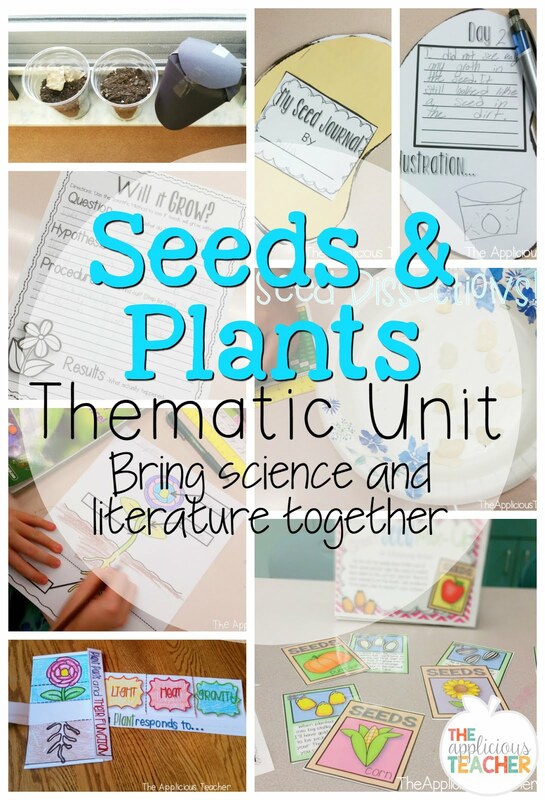 You can grab all these plant and seed activities in my “Sprout” Seeds and Plant Unit. If you already have this pack, be sure to re-download it! I’ve updated the pack with these two foldables AND added in the directions/Scientific process sheet for the experiment above. With all this plants and seed talk, I had to pull out my Spring Centers. These couldn’t have come at a better time. (Hello STATE TESTING! ) We needed extra practice with so many of these skills! Shades of meaning was one of our areas of weakness on our last reading assessment, so this center was a perfect review! Main idea and details?! Check! 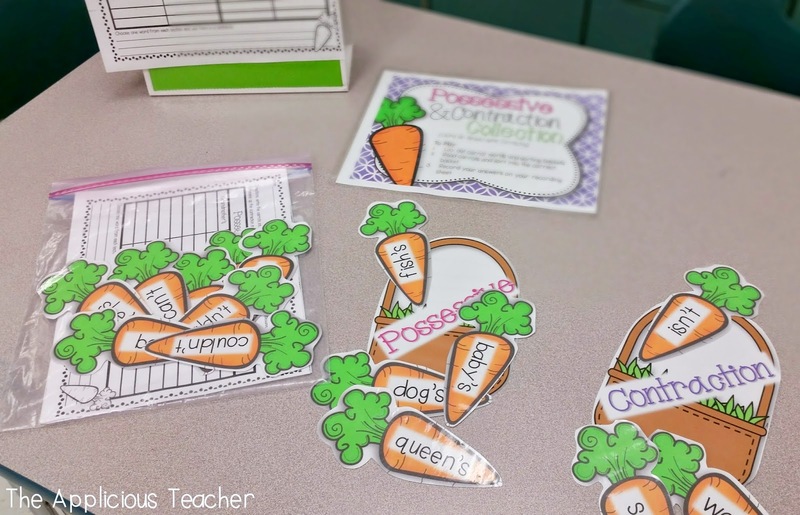 To help strengthen our language skills, we worked on sorting contractions and possessives. Of course LOTS of sentence writing had to come with this one. It isn’t enough to just know the difference you have to show you can use them, too! 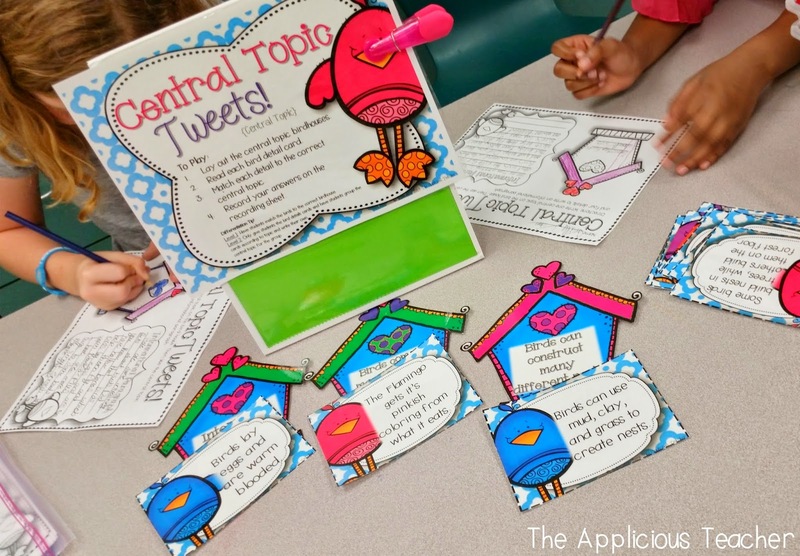 If you’re in need of some differentiated Spring themed centers, be sure to check out this pack!